Restored and meticulously remastered in brilliant high definition, Star Trek: The Next Generation® is a true milestone in TV history. 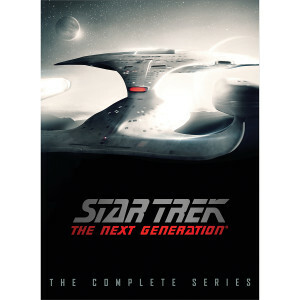 With such thought-provoking episodes as “The Measure of a Man” and “The Inner Light”; the return of the Borg in “The Best of Both Worlds”; and the time-shattering confrontation between Captain Jean-Luc Picard (Patrick Stewart)and the mysterious, god-like Q in the Hugo Award-winning series finale. Enjoy every memorable moment from the series that re-launched the Star Trek™ legacy for new “generations” to enjoy and experience!